The human brain is complex. Every brain injury is unique. 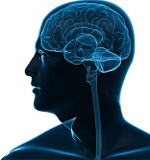 But nearly every person who suffers a brain injury experiences that frightening feeling of “I am not myself anymore.” In mild traumatic brain injury (MTBI) cases, specifically, this feeling may recede over a period of weeks or months. But for others, it does not. Whether the symptoms are permanent, improve, or get worse, the reasons for these differences are constantly researched—looking for ways to explain, prevent, and/or heal traumatic brain injuries. Several new studies on mild brain injury are examining factors ranging from genetic differences to differences in emotional make-up in order to understand why these differences exist. New research is leading to new approaches in treatment and rehabilitation, as well as prevention. The “BRAIN” initiative, which stands for Brain Research through Advancing Innovative Neurotechnologies, is already underway at the National Institute of Health (NIH). And, on April 2, 2013 President Obama announced that his 2014 budget will include $110 million in funding to advance the initiative, which supports human brain research that could be used to treat a range of neurological conditions, including traumatic brain injury (TBI). I expect the additional funds to elevate the project’s urgency, as it would be a joint effort of the National Institutes of Health, the Defense Advanced Research Projects Agency (DARPA) and the National Science Foundation along with other private and public entities. If this initiative goes forward, it also promises to augment work already underway at other research centers throughout the country.